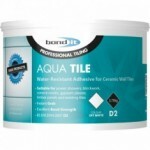 Suitable for all types of ceramic floor and wall tiles, including mosaics, porcelain, natural stone and vitrified tiles. CE Approved: Conforms to: EN12004 Type C2F. 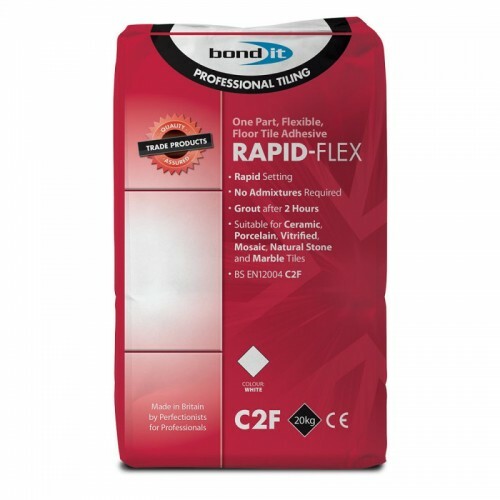 Ideally suited for application onto timber panels, wood floors, plywood, composite boards and impermeable surfaces, such as existing quarry tiles, mastic asphalt and power-floated concrete without the need to include a flexi-additive in the mix. 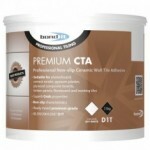 Also suitable for use in areas with limited movement or vibration including underfloor heating. Can be used internally and will set sufficiently to receive light traffic in approximately 2-3 hours.